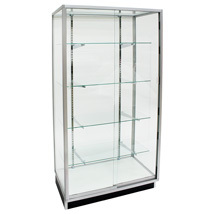 Organize and display your merchandise in this sleek wall showcase. Aluminum upper frame and black melamine bottom provides an elegant backdrop to showcase your premium products. 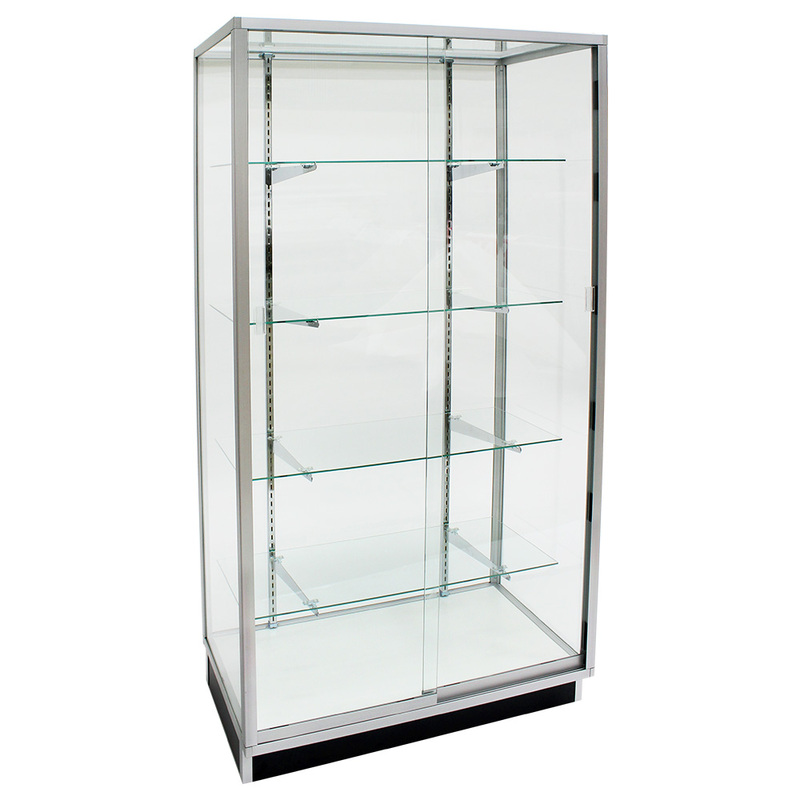 Showcase features glass top, glass sides and back, sliding glass doors and 4 rows of adjustable 14 in. deep x 3/16 in. thick glass shelves. Includes heavy duty hardware. 4 in. black base. Glass doors can be mounted in the front or in the back. Options include add a lock to secure your valuables, search item #9225. Assembly is simple and takes approximately 2 hours or we can assemble for you for an additional $75.00 per unit. Add item #1133 to your cart to have this item assembled.